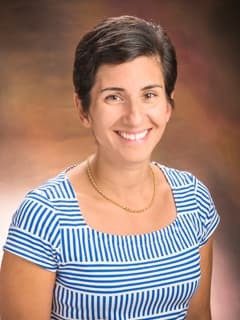 Alexis Topjian, MD, MSCE, is a Pediatric Critical Care Medicine Physician at Children's Hospital of Philadelphia. Williams RP, Banwell B, Berg RA, Dlugos DJ, Donnelly M, Ichord R, Kessler SK, Lavelle J, Massey SL, Hewlett J, Parker A, Topjian AA, Abend NS. Impact of an ICU EEG monitoring pathway on timeliness of therapeutic intervention and electrographic seizure termination. Epilepsia. 2016 May;57(5):786-95.